I've been doing Nanowrimo for a while, and feel it's a good time to share some observations. First of all, congratulations to all those who have just finished! No matter how many words you've written, it's more than you had in October, so well done. For those who don't know, Nanowrimo is a worldwide event in which people attempt to write a 50,000 word novel in the month of November. Reaching the target is known as "winning", but it's a contest only with yourself; nobody checks on the words you've written. Your fellow Nanowrimo participants are there for solidarity and moral support. The novel will almost certainly be largely rubbish, and that's the point. The idea is to put aside all the angst, self-doubt and perfectionism that plague us, and get on with the act of creating something. You can edit later (and it will need a lot of editing, if you want it in a fit state for publication). 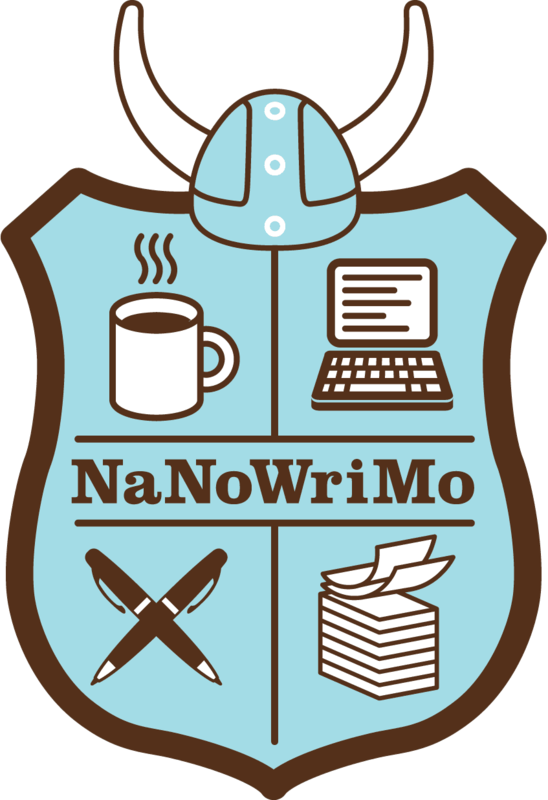 I've been a part of the Cambridge Nanowrimo group since 2006, so this is my 12th season here. Next spring I'm moving to Toronto, Canada; I may remain part of the group in spirit, but in body I'm going to be elsewhere. So it seems like a good time to look back, and see if I can share any wisdom from along the way. 2005: First heard about this Nanowrimo thing, while living in Leeds. Declined to give it a try, as I was doing a somewhat intense masters' degree course at the time. 2006: Moved to Cambridge. Went to one very friendly pub meet. Sat down to write my sci-fi thriller and... choked. Got out a page and a half, and just seized up. Felt embarrassed, gave up the novel, didn't go back to the pub meets. 2007: Busy preparing to get married in March 2008. At least that was my excuse, mostly I felt lazy and was haunted by the experience of choking in 2006. Didn't do Nanowrimo. 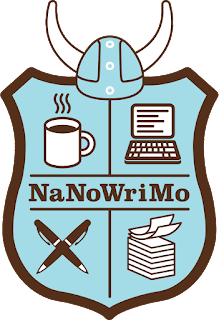 2008: I won Nanowrimo! This was the year I girded my loins and went for it, and also had a lot of fun at the pub meets. Unusually for me, it was a contemporary story with no science fiction or supernatural elements whatsoever; a student tries to figure out life, love, and his brother's unexpected death. 2009: Won again! This time with a fantasy novel about a sword-wielding medieval Scotsman battling strange creatures from Faerie. Some enjoyable ideas and an awful lot of fun to write. 2010: Won again! This time with an ambitious tale of alternate history, and a retired politician who helped the UK emerge from fascist dictatorship in the 1990s. Maybe a little too ambitious for the amount of planning I'd done, and I kind of lost the thread of the plot, but the characters were good company and I liked playing around with the ideas. 2011: Nanowrimo streak broken. Needed to find a new job rather urgently in order to keep paying the mortgage, so all my creative writing energies were going into job applications. 2012: Hurrah! New job, new Nanowrimo. Sat down to write and... it was a big painful mess. I didn't choke exactly, but the story was going nowhere, and I was either indifferent to my characters or actively disliked them. Had some family things to do as well. Nanowrimo slipped away, somewhere around the 20,000 word mark. 2013: Won a fourth time! Chilled out and wrote about an Edinburgh police detective with family connections to the strange and uncanny. It brought home to me just how much research police procedural writers have to do, but again, lots of fun to write. 2014: I knew my son was due in January 2015 (as it turned out, he arrived a few days early in December). Very soon, Everything Was Going To Change. This was my Last Chance At Nanowrimo As I Knew It. I needed to write The Most Awesome Sci-Fi Nanowrimo Ever. It turned out all this self-applied pressure and Capital Letters weren't very helpful; my heart wasn't really in it, and my novel-writing spluttered and died, rather similarly to 2012. 2015: Things had changed all right, but here I still was. Time to have another go, this time with a space opera. It was doable, but... really hard. Babies need a lot of looking after, but thanks to extraordinary patience and goodwill from my wife, I excused myself from a lot of the baby care for a month and got my 50,000 words. It was different though; free time was much harder to come by, I had to drop my standards of quality a lot, and spent the final weekend writing 20,000 words of any old gibberish. 2016: I'd proved the point that I could win Nanowrimo as a parent. Toddlers need a lot of looking after too, and it wasn't really worth putting that much strain on myself (and my lovely wife) again, so I decided to sit this one out. 2017: Same reasoning as 2016, and I'm also trying to organise a transcontinental move, so sat out Nanowrimo again. 2018: Who knows? But there is already a Cambridge Nanowrimo member in my new city of Toronto, so maybe we can form a branch in exile. For those keeping score, that's five victories out of eight attempts, and twelve Novembers in Cambridge. Have fun. That's the most important of all. This is a mad thing we're doing in our spare time for our own satisfaction. If your novel isn't fun, you won't make progress. Even if you do, why spend a miserable month bashing out words that make you unhappy? Life is too short for that. Balance quality and speed. This ties into the first one. It's fairly easy to rack up word count by writing absolute and total nonsense, but unlikely to be satisfying. Tell a story in which you care about what happens next; but don't fall into the trap of caring too much, fearing to write anything in case it's not good enough. Set your imagination free; it's hard but exhilarating. Don't worry if life gets in the way. It happens to the best. In the preface to Lord of the Rings, Tolkien explains how he took the best part of fifteen years to write it, and had many other duties which he did not neglect. Nanowrimo can be a glorious thing, but it's not the only thing. Persistence is everything. As long as you still have that dream of writing novels, don't give up. Try again next year, the year after, and for twenty years more if that's what it takes. Learn from the experience. The successful Nanowrimo novels were great. One of these days I might even try to rework one or two into something publishable. Even the less successful ones taught me a lot about myself, my writing process, and what I want from a novel. Above all, give yourself permission to experiment and make mistakes, because that's the only way anyone can get better. Salutations to all my fellow Cambridge Nanowrimoers. Once again, I'll repeat Observation One: Have Fun. I've had many a terrific night down the pub with the Cambridge crew, and that's what I'll remember most of all.